We are currently raising money to build a second field in Southwest Lansing through a crowd funding platform called Patronicity. We need to raise at least $50,000 through crowdfunding and every penny counts! Help us make Beacon Southwest a reality and rejuvenate this section of the city by visiting our Patronicity page. Nothing is as valuable as donating your time. Beacon is always looking for volunteers to help any way they can. Contact us today. 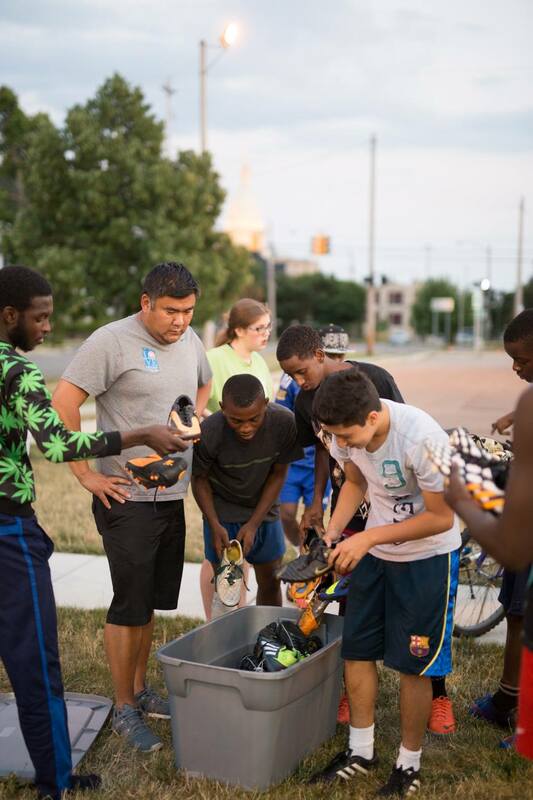 Second Tread is an organization that collects gently used soccer cleats and donates them to kids and teens in need. 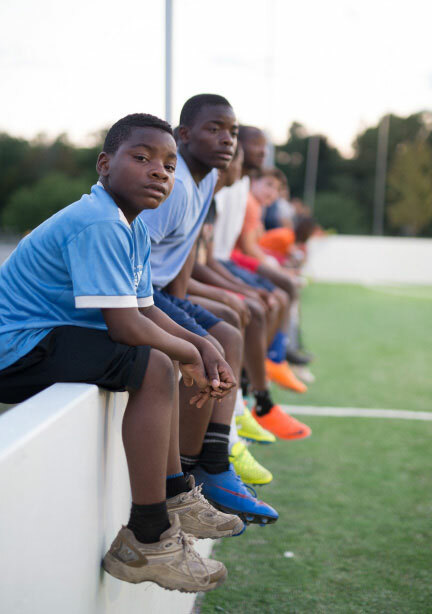 Contact us today to donate used cleats. Contact the organizers for organizational support or visit our crowdfunding tool to give a personal donation that is comfortable for you. Every dollar counts. No matter the size of your business, Beacon has opportunities for you to get daily exposure. Contact us today for all sponsorship inquiries. Get people buzzing about Beacon Soccer by engaging with us on your favorite social media sites visible at the top right corner of the page. 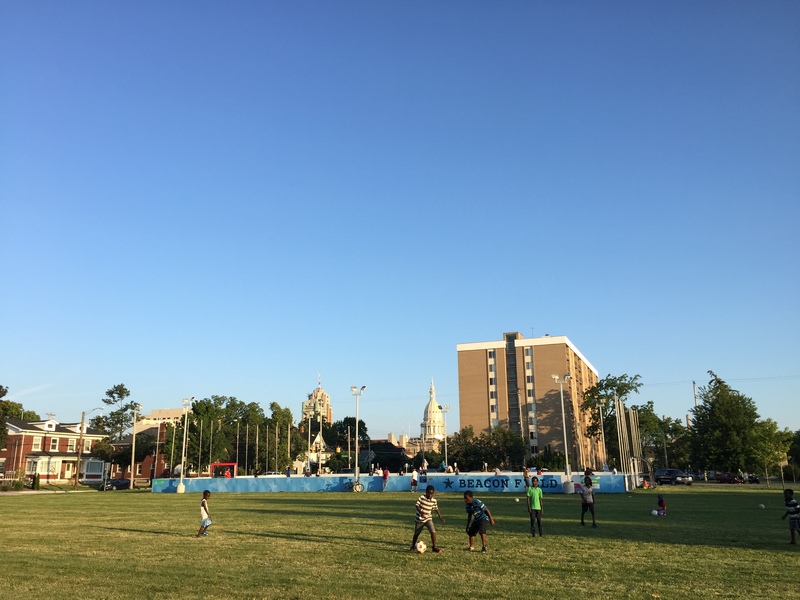 Children playing on the outskirts of Ferris Park in the shadow of the Capitol Building. Kids and teens of all ages patiently waiting for their chance to play the world’s game. 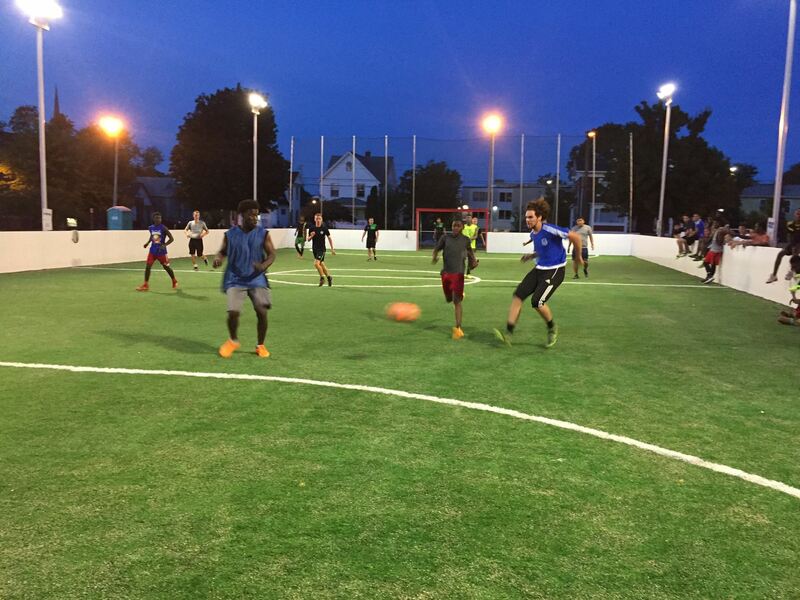 Beacon Fields are equipped with LED light fixtures to allow play long after the sun goes down. Kids eagerly searching for the perfect pair of cleats provided by Second Tread. Help us make Beacon Southwest a reality!